Ciao Carraol, light, shadow and color; sublime!!! The light is wonderful ...and the blossom! Is it bamboo? 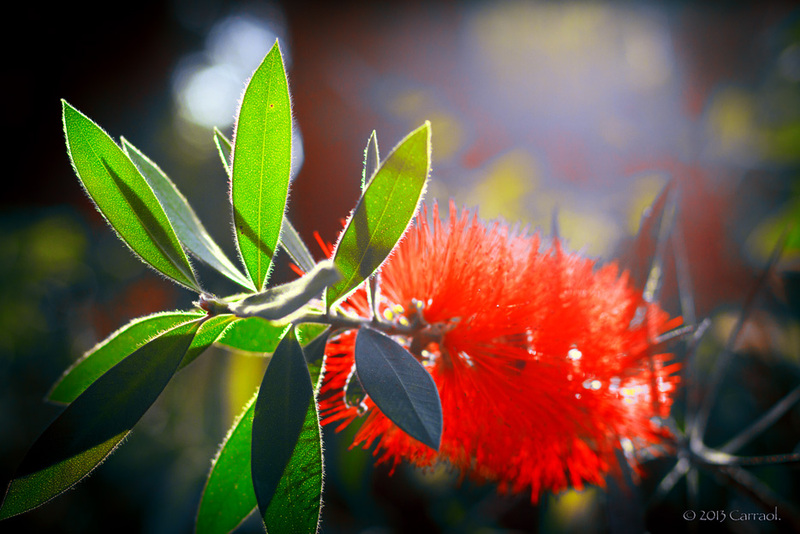 The light is amazing, it picks up the fringes on the edges of the leaves and makes the red of the bottlebrush flower glow. Lovely capture! how much I like this image !